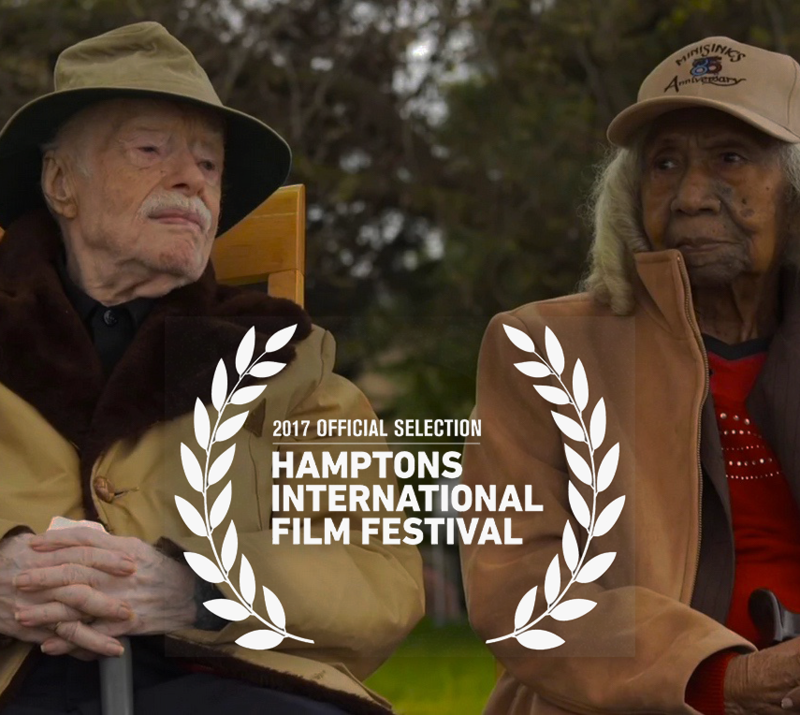 Kartemquin is thrilled to announce that Edith+Eddie by director Laura Checkoway has earned the Best Documentary Short Award at the Hamptons International Film Festival. The film will have an encore screening today at 2PM preceding the screening of the Best Documentary Feature screening of Lots of Kids, a Monkey and a Castle. Tickets here. "We are incredibly thankful to the jury and festival for this recognition. Edith and Eddie's story is a testament to finding love at any age and living on your own terms. The injustice that they experienced is happening to elders across the nation who are caught in the grips of guardianship and we hope this film will encourage people to talk with their families and look out for their loved ones," said Checkoway. Coming up, the film screens in the Camden International Film Festival Selects October: Shorts Edition program on October 11. The film has enjoyed an award-studded festival run since its world premiere in March, 2017 at the True/False Film Fest, earning Best Documentary Short at the Nevada City Film Festival, Best Short at the Montclair Film Festival, Jury Honorable Mention at the Sheffield Doc/Fest, the Flickers' Youth Film Jury Award for Best Documentary at the Rhode Island International Film Festival and the Jury Award for Best Documentary at the Palm Springs International Film Festival. The film also earned a prestigious nomination for the Cinema Eye Honors' "Shorts List." Find details on upcoming screenings here. Follow Edith+Eddie on Twitter and Facebook.